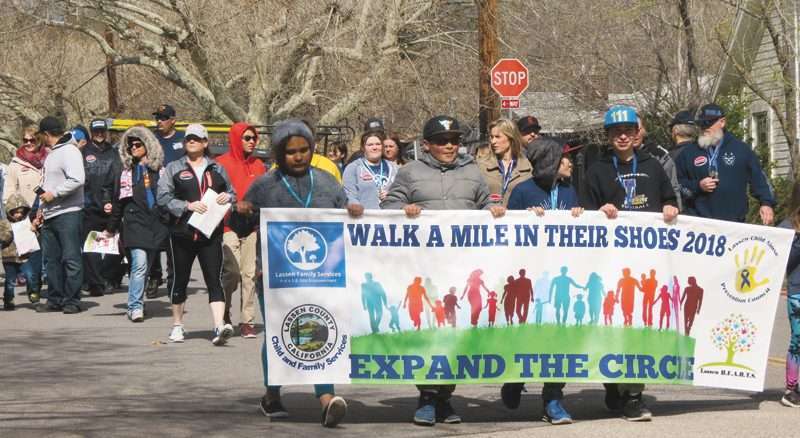 The city of Susanville both certified a proclamation declaring the month of April Child Abuse and Assault Prevention Month and offered fee waivers for this year’s Walk a Mile event April 13. Stafford read from the city’s proclamation, drawing attention to an important and overwhelmingly disheartening fact; that sexual assault is more common than reported. “Sexual assault, sexual abuse and sexual harassment are overwhelming morale, economic and public health burdens,” said Stafford. Kerri Cobb is the fiscal director of Lassen Family Services, the organization sponsoring the sixth annual Walk a Mile event. Cobb attended the March 20 meeting whereby Stafford and the rest of the council decided to waive the organization’s fees for the use of Memorial Park and also share the proclamation. The opening ceremonies will be held at the community center lawn at 10 a.m. and the event will center on outreach rather than fundraising, so the event is open and free to the public. The council accepted the request to waive the $226 in fees for the use of the area for the day. Cobb also shared LFS’s child abuse treatment program called CHAT. The program has two therapists and a newly hired intern therapist to serve children who have been neglected and abused within the community. At the moment the program has a waiting list of around 30 children who are not being served.